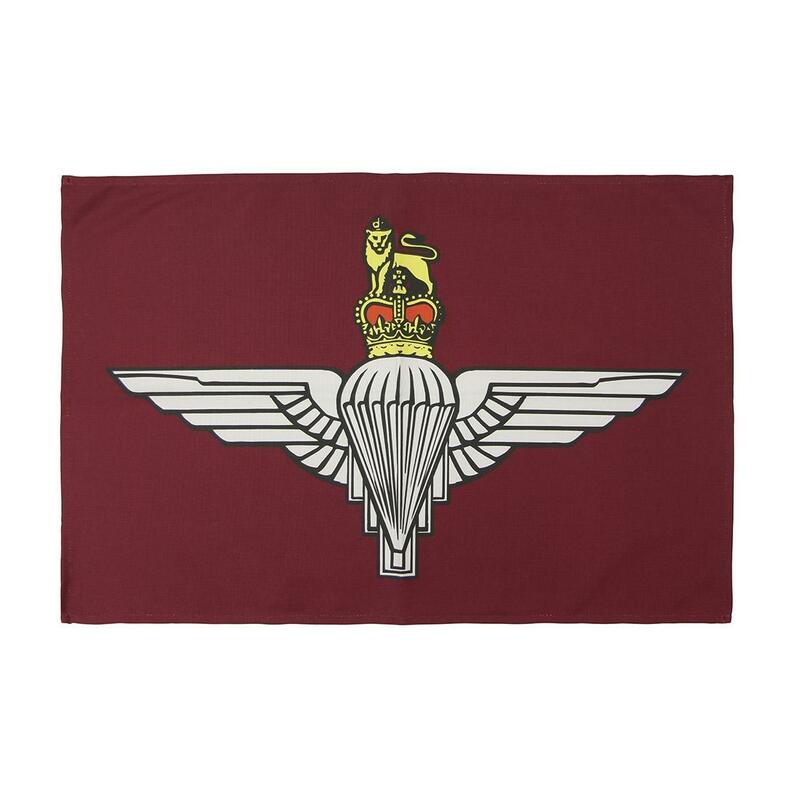 Maroon tea towel featuring The Parachute Regiment Cap-Badge on the front. Plain reverse side. Hemmed seams.